It's here again! The time has arrived for 2017 Farmers' Stock training. Refresher classes commenced on Monday, June 6, 2017. Our Calendar of Events page will show the full schedule of class dates and times. We are preparing for what is promising to be a big peanut year in Georgia. 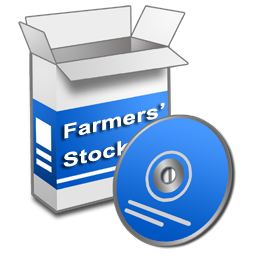 One of the many items that we will cover in training this year is the new SQL version of Farmers' Stock and how e-NUTS connects to it. The scale training will also cover proper use of the Ohaus AV4102-N scales and the GA-4202-SP (based on the Ohaus AX42052-N/E scale but with updated firmware to work better for Farmers' Stock buying points). Scale training will include how to properly tare, zero, and power up the scales. As always, we will cover every aspect of grading from procedures to software, including, but not limited to, the Farmers' Stock software, the License Control Program and the Remote Signatures program. Training will cover preparations, approved procedures, and operational recommendations for the Farmers' Stock grading season. It's here again! The time has arrived for 2015 Farmers' Stock training. Refresher classes commence on Monday, June 15, 2015. Our Calendar of Events page will show the full schedule of class dates and times. We have been very busy since last season and are gearing up for what is promising to be a big peanut year in Georgia. One of the many items that we will cover in training this year is how to properly configure and calibrate the new Ohaus AV4102N scales for use with the Georgia Federal-State Farmers' Stock grading software. The scale training will also cover proper use of the scales, including how to properly tare, zero, and power up the scales. As always, we will cover every aspect of grading from software, including, but not limited to, the Farmers' Stock software, the License Control Program and the Remote Signatures program. Training will also cover preparations, approved procedures, and operational recommendations for the Farmers' Stock grading season. The time is here for Farmers' Stock training. Refresher classes commence Monday, June 11, 2014.Be sure to check our Calendar of Events page for a full schedule of class dates and times. We're always excited about new peanut seasons. We are training in our new building and are ready for the excitement that always comes with each new season. 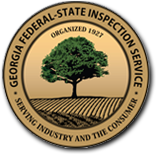 The main operation of Georgia FSIS moved to our new location at 951 Pecan Grove Drive. We're still in Albany, GA, but now are located across from Southwest Georgia Regional Airport. The new facilities offer us immediate access to the airport and takes advantage of a much better infrastructure such as fiber optic internet. We are proud to announce that we have successfully migrated to our new web servers and have simultaneously launched our newly redesigned web site. We will continually be improving the online experience and adding tools to our website to better help those that we server. The time is here for Farmers' Stock training. 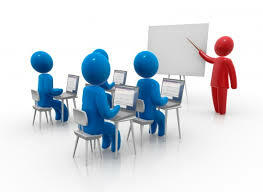 Refresher classes commence Monday, June 17, 2013. Be sure to check our Calendar of Events page for a full schedule of class dates and times. We're looking forward to another peanut season. We've made our preparations and improvements. Now it's time to get all of the inspectors ready to roll!